We may have arrived late to the craft brewing game, but our local options are growing faster than ever. Photo Courtesy of Proof Brewing Co. Craft beer is in its heyday. Dating back to the prohibition era, breweries have existed for longer than most can remember, but in the past 20 years, craft breweries have popped up in every corner of the state. It used to be thought that craft brewing could not exist in Florida as restrictive laws made it one of the most difficult states for selling beer. When laws loosened in the 1990s, Florida entrepreneurs started paving the way for local craft breweries. 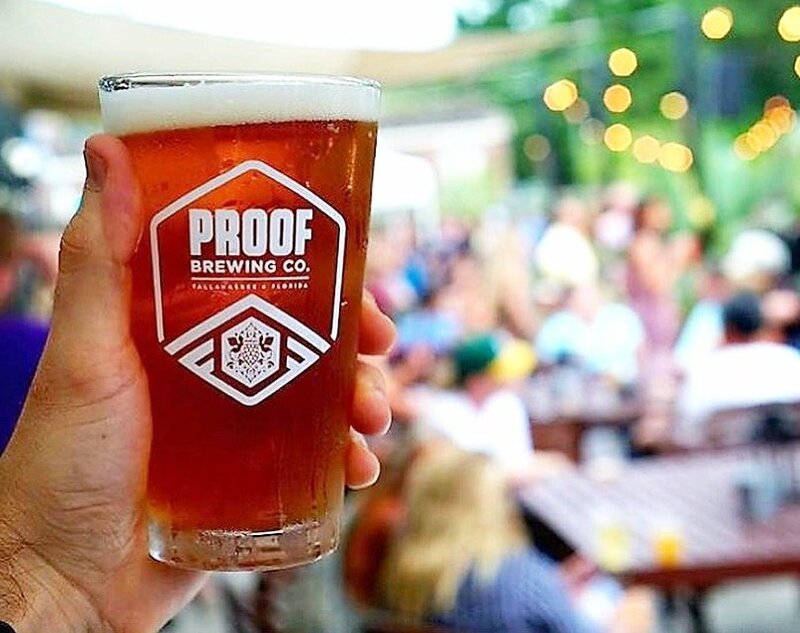 Tallahassee somehow remained absent from the craze that was quickly spreading across the peninsula — until Proof Brewing Co. came along and changed the game. Growing quickly and becoming a local success, Proof opened the doors for more to follow. You might have loyalties to one brewery or another, but it’s time to branch out and expand your palate. This place came to fruition from the son of two scientists. Serving everything from ales, lagers and stouts to milkshake IPAs and kombucha, it’s the perfect place for the adventurous soul. Mirroring their passion for exploring the deep sea, DEEP explores the depths of flavor in traditional European and American brews, not to mention an assortment of small-batch and seasonal beers. The OG of Tallahassee brewing is expanding to a new 34,000 square-foot facility that formerly housed the city’s old Coca-Cola warehouse on South Monroe. To say we’re excited is an understatement. Located in the booming Gaines Street area, this brewery focuses on conversation, minimizing their carbon footprint and being active participants in our local community — not to mention some of the most inventive Belgian styles around. With beers that celebrate the outdoors, and a penchant for supporting and showcasing local musicians, the two generations of Tallahassee natives that run this brewery know what locals like.